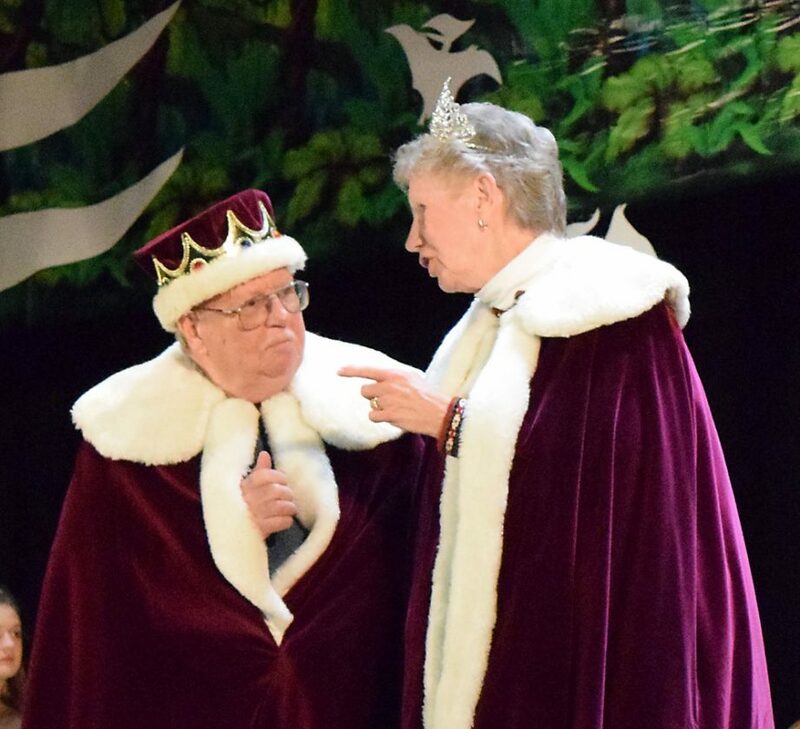 Like many Saranac Lakers, our faces lit up and we laughed out loud when we found out who the king and queen were for this year’s Winter Carnival. RoseAnn Hickey and Phil “Bunk” Griffin! That’s brilliant! Not only have these two served this community well over many years, they are simply the kind of folks that people here are thrilled to hold up and cheer for. We also expect they will be fun presiders over this week’s Winter Carnival festivities. They are both lovable, in different ways: Bunk is one of the quietest guys in town, while RoseAnn is one of the most outgoing and friendly. BunksPlace is primarily intended for people who grew up here and want to immerse themselves in nostalgia — not schmaltz but real, true, golden nostalgia — in the form of old photos of friends and good times. It’s not updated as often as it was a few years ago, but it’s still a treasure trove. Bunk also specializes in the oddball humor that has been characteristic of Saranac Lake since its founding. His Mountain Al cartoons were a great example of his wry, very local take on things. Saranac Lake needs this kind of historian as well as the kind at Historic Saranac Lake and the library. Bunk has seen all kinds of stuff and is a gold mine of stories and information — but unlike other people, he collected that in a place on the web where it does good for other people. Bless him. RoseAnn moved here in the 1970s to teach at St. Bernard’s Catholic elementary school, and much of her good work since then has been for young people and the church. Many people who grew up in the 1980s remember her as director of Camp Guggenheim, or her involvement with the Getaway — now called the Saranac Lake Youth Center. Others remember her as a teacher in Saranac Lake or Lake Placid, or as principal of Lake Placid’s St. Agnes School. She is also done countless good works for her church community at St. Bernard’s, including as head of the Catholic Daughters court. She is also a cancer survivor and has thrown herself into efforts to raise money for the American Cancer Society’s good work, as well as to hold retreats that help others endure the horrible disease. But more than her service work, what makes RoseAnn a wonderful queen is her effervescent personality. She will always go out of her way to greet people and make them feel good. Really, these are two fantastic people that any community would be proud to have. We are so happy to see them receive Saranac Lake’s highest honor and to forever join the ranks of local royalty.